Revius Oliver Ortique, Jr., civil rights attorney, civil rights activist and leader, judge, and Supreme Court justice, was born in New Orleans, Louisiana to Revius Oliver Ortique and Lillie Edith Long on June 14, 1924. He had a younger brother named Calvin J. Ortique. Ortique and his wife Miriam Marie Victorianne Ortique had a daughter named Rhesa Marie McDonald. Ortique received his undergraduate degree from Dillard University in 1947 and his master’s degree in 1949 from Indiana University. He earned his juris doctor degree in 1956 from the Southern University Law School. Soon after he became a civil rights attorney during the era of the civil rights movement of the 1950s and 1960s. He specifically represented black workers in Louisiana in an effort to get equal pay with their white counterparts. Ortique often worked as a negotiator between the factions fighting for or against civil rights including those in both black and white communities. In 1958, Ortique began his five terms as president of the Urban League of the Greater New Orleans. In 1959, Ortique was elected president of the National Bar Association, the professional organization for African American lawyers and judges. While president of the Association one of his most notable achievements was successfully lobbying then President Lyndon Johnson to appoint black judges at the federal court level. President Johnson would later nominate the first black justice on the U.S. Supreme Court, Thurgood Marshall. Ortique holds numerous distinctions and honorary degrees from various colleges and universities due to his crucial role in the civil rights movement as well as his accomplishments as a judge. They include Honorary Doctor degrees from Campbell College, Ithaca College, University of Indiana, Morris Brown University, Loyola University, and Southern University Law School. Aside from his active role in the civil rights movement and accomplishments as an attorney, Ortique also holds claim to the titles of many black firsts in the judiciary system. Ortique was well respected in his professions and was appointed by five U.S. presidents to numerous boards and commissions during his career. 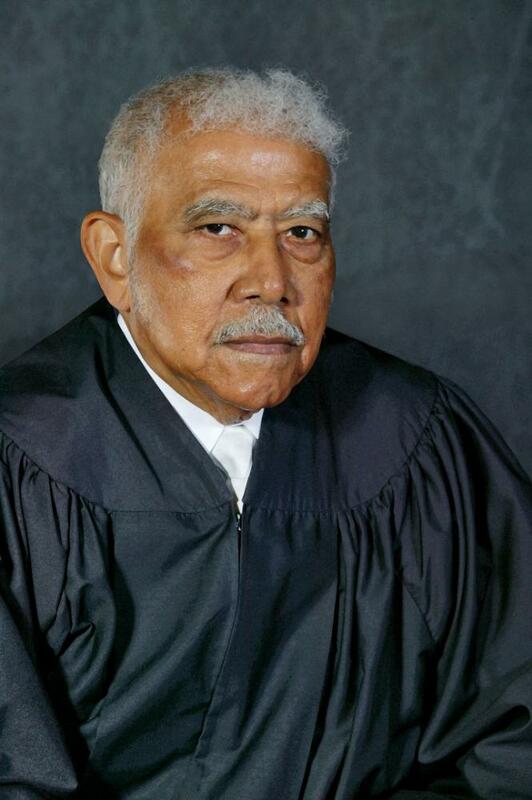 In 1978, he became the first African American judge appoint to the Louisiana Supreme Court and the following year he became the first African American judges to be elective to this same court. Later in 1986 he became the first African American chief justice of the Louisiana Supreme Court. In 1992, he was appointed to the Fourth Circuit Court of Appeals and thus became the first black federal judge on that court. In compliance with the mandatory judicial retirement age of the state, Ortique remained on the Fourth Circuit Court until he turned 70 in 1994. Revius Oliver Ortique Jr. died on June 22, 2008 following a stroke in his home in Baton Rouge, Louisiana. He was 84 years old. “Revius Ortique Jr.,” Ancestry Library. https://www.ancestrylibrary.com/family-tree/person/tree/31826012/person/19550282340/facts (login required); “Revius Ortique Jr. Obituary,” Legacy – Memorial Websites, 2008. http://memorialwebsites.legacy.com/ReviusOrtique/Homepage.aspx; “In Memoriam Revius Ortique Jr.,” Louisiana Supreme Court, 2008. https://www.lasc.org/community_outreach/in_memoriam/ortique_revius.asp.